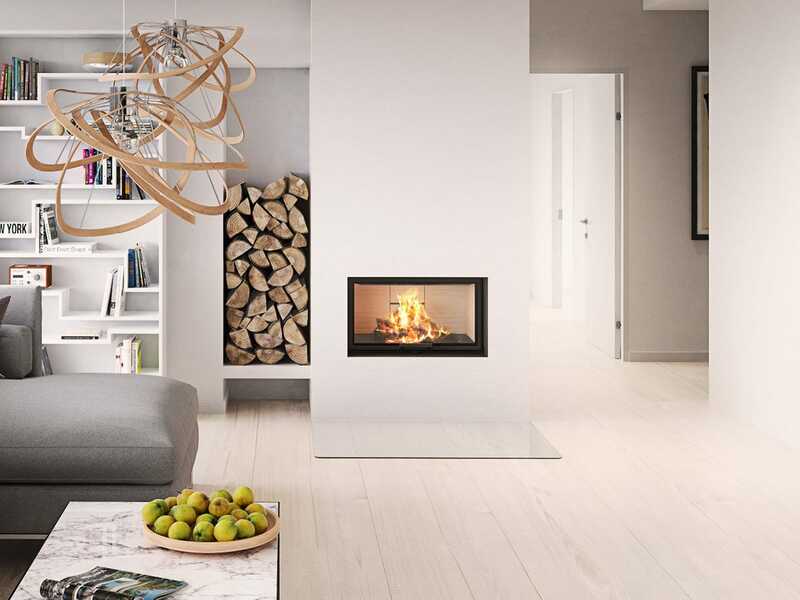 Is it possible to design a wood-burning stove that is simpler than Visio 1? Probably not. For, here, you see only the flames. 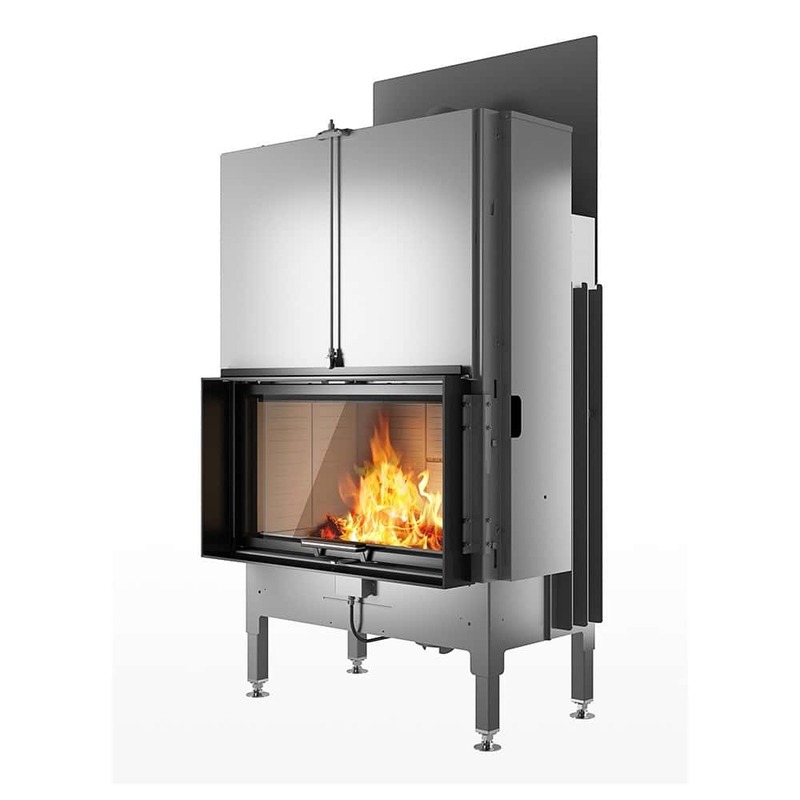 There is just a very small and discrete frame in black or stainless steel surrounding the glass at the front of the stove. When you open the super minimalistic door, it is pushed aside and disappears. Technically smart, elegant and simple. This stove gives you also snug warmth and has high thermal efficiency. If you wish, you can get a frame that encircles the verge of the wall around the door. Or you can leave the wall in all its simplicity.